We asked our bloggers which books they are looking forward to reading this summer, and they provided us with some great answers. Curtis Turner took a different tactic from the others, and told us quite a lot about the book he is most excited to read this summer. Now we are ready to start reading this one too! The much anticipated book Chairmaker’s Notebook by Peter Galbert had me watching the web to see when it would be in stock. I am not often excited about a book release. However, I was eagerly awaiting this one. 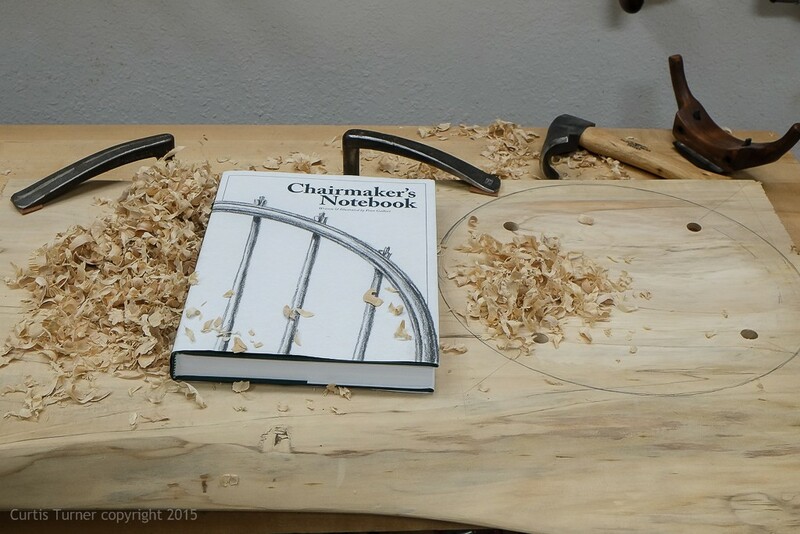 I knew this book would represent many years of experience in the craft of Windsor chair making. The hype prior to the release did not disappoint. I found this book to be fascinating. Of course, this 400 page book is well written and artfully illustrated. Peter’s ability to match descriptions with his hand drawn illustrations make for a powerful book. It has a relaxed feel; it is not preachy nor assumes you a skilled woodworker. This is the work of a confident teacher and craftsman. I would consider this a textbook for anyone interested in making chairs. However, this book will be helpful to those just starting to learn about green woodworking. Peter guides the reader through understanding how to use a wide range of tools including esoteric items like the travisher, scorp or the tapered reamer. He explains and illustrates how to harvest a log, process, build and finish a chair. While the focus is on Windsor style chairs, much of the content applies to other styles and types of furniture. I have found the information on joinery to be most educational. I initially was hesitant to take this beautiful book into my shop. But then I found it too useful to leave it at home. Now it frequently makes its home on my work bench. Inspired by Peter and others, I am in the process of making a Windsor style stool. While a stool is not the subject of the book, I am using his methods and adapting them to suit my needs. I am certain you will find this book an important resource in your shop. 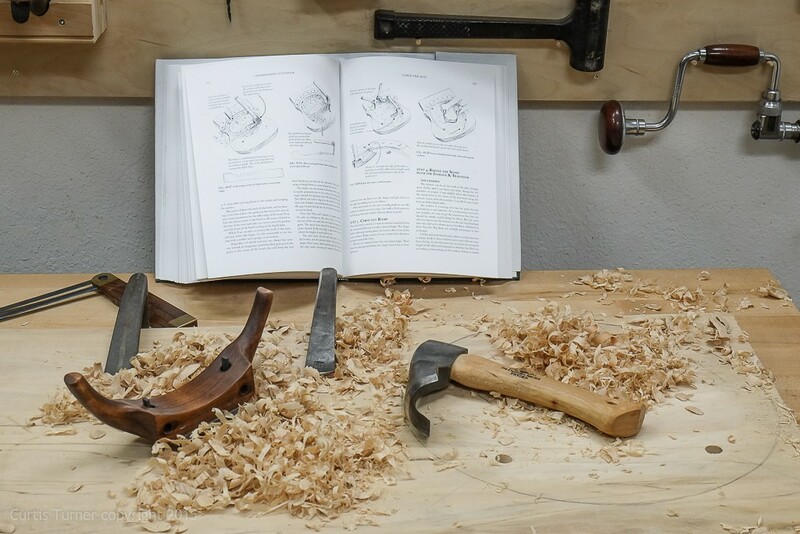 It is sure to become a legendary book and a source of inspiration to future generations of woodworkers. Curtis was the 2012 President of Central Texas Woodturners, a member of the American Association of Woodturners, and a member of Fine Woodworkers of Austin. Curtis teaches and demonstrates nationally for Lie-Nielsen Toolworks. He also owns a studio where he teaches and works. Curtis lives and works in Central Texas with his wife and four young children. Take a look at his website at www.curtisturnerstudio.com.